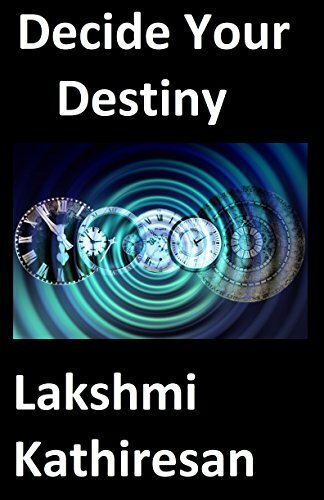 Decide Your Destiny is an Interesting Time Travel Science Fiction Story Book written by Lakshmi Kathiresan. Decide Your Destiny is about Jessica living Bright Future Orphanage, Virgina. On a field trip to the musesum, she finds a time travel watch with a small note. Jessica does not know she is going to go through an adventure of a lifetime. Will see ever meet a witch, wizard or may be even her future-self? What will happen once she finds out the truth? An Interesting Time Travel Science Fiction Story Book. It does make connection with remedies in astrology. Lakshmi Kathiresan is 11 years old. She is currently studying in Laura Ingalls wilder elementary school, Redmond, WA in 5th grade. She loves adventure, planets, excitement and writing. She also has been very interested in time travel and always makes up stories so, her dad asked her if she wanted to write a book. It started with something small and it did not take long to turn into something great. An Interesting Time Travel Science Fiction Story Book written by Lakshmi Kathiresan.